Have you ever wondered what happened to that half human, half pup full of teen angst after Teen Wolf ended? That was a great movie and definitely fits into the category of 100% classic 1980’s cheese! 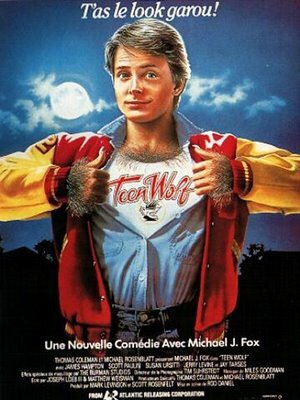 Word on the street is that after filming, Mr. Wolf moved to Los Angeles to try his hand at more acting. It didn’t end so well out there in Tinsel Town. The teen was slowly aging out of his adorable stage, and the work wasn’t adding up. A few directors forced him to do Alpo commercials, as well as wildlife promos for a future reality show … they just weren’t his cup of tea. Poor Mr. Wolf couldn’t make ends meet. Once the sun went down on his glory days, Wolfie moved to the mountains of Colorado into a nice and clean wolf den. He wanted to hide from the public’s eye, even though hardly anyone recognized him unfortunately. After several years of hiding, Mr. Wolf found a mate. He was digging through an unsuspecting lovely lady’s garbage for some food and got caught. She came out with a shotgun and threatened to call animal control, but she couldn’t go through with it for some reason. It was truly love at first sight. A year had gone by and the two moon-crossed lovers had developed quite the courtship. They were wed on the full moon of the twenty second winter solstice and what a wedding it was! The bride’s parents put out money for an open bar, and endless doggie treats. Two years then went by and the mismatched couple had 3 half human, half wolf pups in total. Their family was complete at last and love continued to exuberate through and through. Every now and then, Mr. Wolf has to tell his kiddies not to let the full moon get them into too much trouble!